My sales manager sits me down for my first lesson on prospecting. All excited as I began my new career as a sales associate, I could not wait to get started! He shows me the lay of the land and how to use the resources in the 4 x 6’ cubicle in our Knoxville office. My response, “Who do I call? This wasn’t what I had expected; nevertheless, that was my first lesson on cold-calling. It’s universally known that sales professionals hate cold calling. And, yes, it’s a questionable practice these days, as many wonder, “Does it actually work?” The answer? 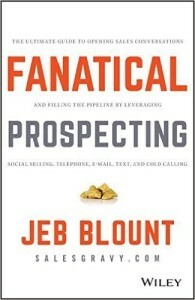 If done right, it’s still a viable part of prospecting. 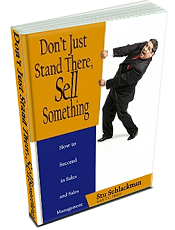 It’s the lifeline of the sellers’ and company’s revenue stream. We’ve all been disrupted by a solicitation phone call and yes it is annoying, mostly because it’s a waste of time. There’s no value, no relationship and therefore, no trust. The same thing happens through social media. How do you feel when someone tries to sell you their product or service on LinkedIn? You don’t know them, their ethics or their offerings. And, they don’t know you and your strategic needs and issues. So, think again before you use this tactic with your prospects. Your pipeline always reveals the truth – do some quick analysis to learn where your best customers and prospects came from. Then consider your industry and the profile of your target customer to determine your best balance for prospecting. In some industries like pest control or lawn service, cold-calling can be a good approach since every homeowner most likely has a need for these services. But cold-calling for complex software services might be a poor approach. Here, we might ask a LinkedIn connection to refer you to a specific person. But first, you’ll need to visit the prospect’s website to learn more about the company’s priorities or challenges, so that you are sure of a potential fit. Assuming they are, connect through your referral using some of the information you gathered during your research. You want to demonstrate that you have done your homework and at least, know there is some possibility of you delivering a viable solution. Your prospecting needs to be methodical, strategic, and balanced. Just as you wouldn’t put all your money into one stock in the market, you don’t want to focus on only one strategy for prospecting. 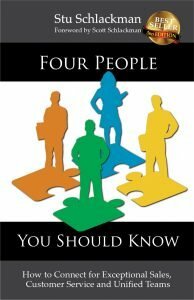 So the question is, which strategies are most likely to add to your prospecting success?